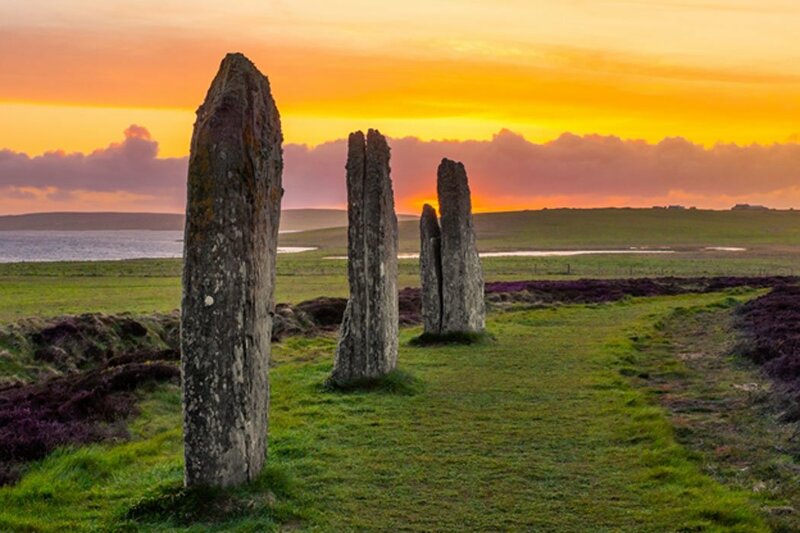 Built almost 5,000 years ago at the early stages of agriculture in northern Europe, Ring of Brodgar , the third largest Neolithic stone circle in Britain has fallen victim to the scourge of society - vandals. It has also been speculated that a three meter (10 feet) high circular bank of earth surrounded the henge enclosing the stone circle, which would have made the structure a powerful symbol of order and harmony in an otherwise wild landscape. And now, some egotistical moron defaces the artifact. Inspector David Hall told reporters that “For someone to damage them in this way is a particularly mindless act” and this growing problem is not restricted to Scotland. Only last year I wrote an article on Ancient Origins titled Vandalism at Ancient Sites, Who Really Cares Anyway ? about a unit of U.S. Army Corps of Engineers searching for two people who etched their names over an “ancient bison at a Native American site at Kanopolis Lake, causing irreversible damage to the petroglyphs. And in another instance, an article on kwch.com described vandals in Chile destroying a range of “ancient animal carvings” in hunters’ caves. So where do our vagrant youth get their ideas from? We might turn to a 2015 CBC article which covered the shocking destruction of the ancient city of Nimrud by ISIS militants, which was condemned by UNESCO as a war crime. Destroying statues, reliefs and the remains of an entire city more than 3,000 years old is archaeological vandalism being used by extreme groups attempting to erase, then re-write history with their own ideologies. That particular rampage also saw the destruction of statues in a museum at Mosul, tombs and libraries, plus the ancient cities of Khorsabad, Hatra and Bosra. When you think about it, when adults are displaying such moronic acts of violence, why would children do any different? This problem comes from the top down! Adults to children. Archaeologists, anthropologist, biologists and geologists are restricted to studying fragmentary remains of ruins and attempt to salvage the truth of what actually happened in the past. They don't have a lot of evidence with which to attempt to reconstruct ancient cultures and civilizations and they piece together data gathered from building foundations, broken statues, faded artworks and tomb engravings, and “standing stones”. Thus, the willful damage of any ancient artifact is a direct offense to the already limited story of how we got to where we are today. It isn’t just vandalism; it's a crime against the rudimentary levels of humanity. Maybe on their foreheads ALA the scarlet letter. Put it where they can’t hide it.